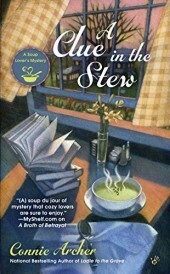 In addition to recipes, choose a sleuth du jour from our menu of mystery series and get a taste of each of our authors’ bread and butter—page-turning puzzles and stay-up-all-night suspense in excerpts from their bestselling works. Hard-boiled breakfasts, thrilling entrees, cozy desserts, and more–this illustrated cookbook features more than 100 recipes from legendary mystery authors. Whether you’re planning a sinister dinner party or whipping up some comfort food perfect for a day of writing, you’ll find plenty to savor in this cunning collection. Full-color photography is featured throughout, along with mischievous sidebars revealing the links between food and foul play. Contributors include Lee Child, Mary Higgins Clark, Harlan Coben, Nelson DeMille, Gillian Flynn, Sue Grafton, Charlaine Harris, James Patterson, Louise Penny, Scott Turow, and many more.